1.Ms. 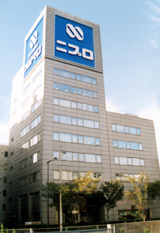 Yoshiko Tanaka and Minako Omizu are Outside Directors as provided for in Article 2, Item 15 of the Company Law of Japan. 2.Messrs. Kazumichi Irie and Masayoshi Hasegawa are Outside Statutory Auditors as provided for in Article 2, Item 16 of the Company Law of Japan. Copyright NIPRO All rights reserved.